Vibrant, cultural and full of possibilities, London is a city like no other in the world. When it comes to evening entertainment, both London natives and visitors are spoiled for choice – but despite such an eclectic range of options, late-opening events remain enduringly popular among tourists and residents alike. So what makes Lates so popular? The capital is full of family-friendly attractions, but for adults the enjoyment of these locations can be stifled by the noisy presence of younger visitors. 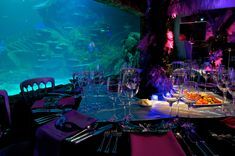 Without the kids in tow, the likes of Madame Tussauds Fashionably LATE and SEA LIFE After Dark allow grown-ups to really relax and enjoy the experience. 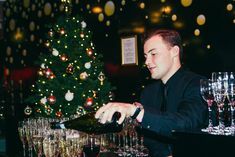 Guests can browse the attractions at their own pace, all helped along with a glass of Prosecco in-hand. All the wonders of childhood, with none of the hassle. Perfection. Lates often go beyond a simple extension of opening hours. For many places it’s a chance to do something a little different from the norm, allowing guests to see their attraction in a whole new light. Madame Tussauds Fashionably LATE is a perfect example – a style-focused evening revealing the designer labels worn by wax figure favourites. You can even find out how costumes from The Hunger Games and Star Wars films have been authentically recreated for display – an intimate insight into life behind-the-scenes at this London icon. Everyone enjoys a good Friday night drink once in a while, but the old formula can soon get tired. Instead of the tried-and-tested post-work social, Lates give colleagues and friends the chance to enjoy some downtime in an altogether different and more exciting setting. Our favourite Friday night activity has to be London Dungeon Lates – because there’s nothing quite like a good old scarefest to get the weekend off to a fun-filled start. Along the way you’ll meet Sweeney Todd, escape the Plague and even visit Jack the Ripper’s favoured haunt, the Ten Bells pub in Whitechapel. London is a city where anything goes, and what better way to embrace this ethos than to experience the magic of childhood? Few places manage to capture that sense of fun and imagination quite like Shrek’s Adventure! London Lates. Taking you on a journey through 10 live interactive shows inspired by characters, you’ll release your inner child on an unforgettable 4D bus ride with Donkey in the driving seat before enjoying a drink at the Poison Apple Pub just off Drury Lane.